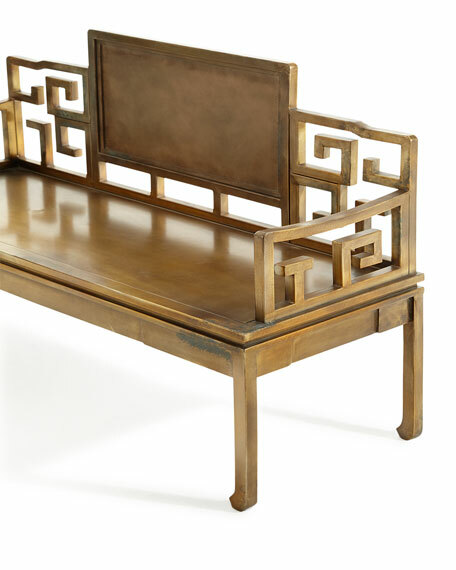 Handmade settee in aged iron with antique brass, featuring a lavishly, patinated finish. Approx. 36"H x 51"W x 18"D; 300 lb. weight limit. 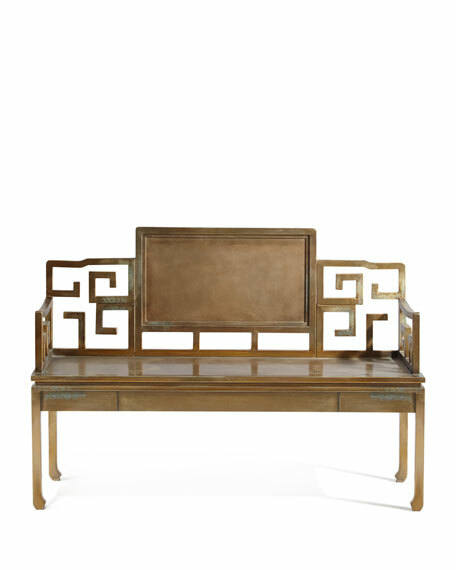 An Asian-inspired design in an industrial, modern style. Weight, 73 lbs. Boxed weight, approximately 76 lbs.